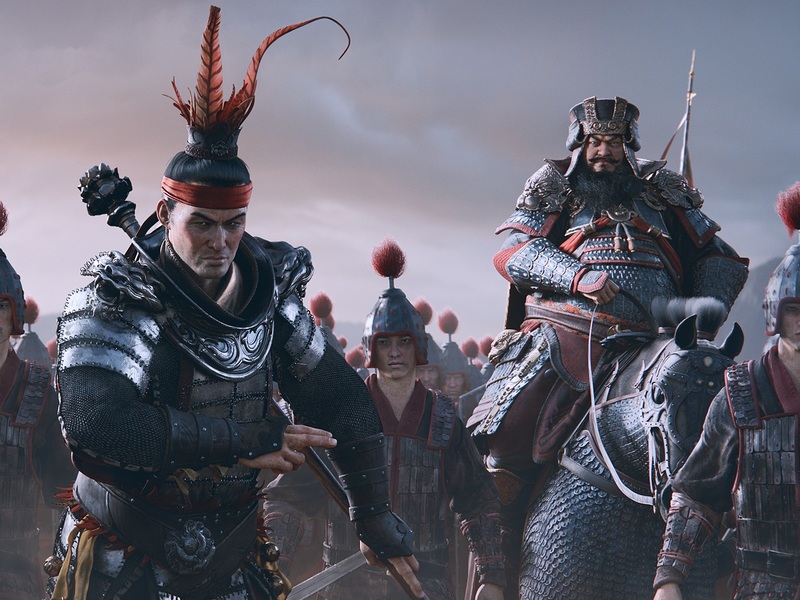 Home > Total War: Three Kingdoms > Can Creative Assembly do the Three Kingdoms era of Chinese history justice with its new game? Can Creative Assembly do the Three Kingdoms era of Chinese history justice with its new game? Wow is Total War is a busy franchise these days. Within the last couple of years alone we've seen the series take us to the battlefields of Attila and the fantasy realm of Warhammer (twice), and there's a trip to ancient Briton coming in the near future. And now the developer of Total War, Creative Assembly, has announced yet another one. This one is really exciting. We're headed to the Three Kingdoms era in China. The Three Kingdoms era is one that most fans of Asian games should be well familiar with. Even if you haven't read the book that forms the basis of much of our knowledge of that era - Romance of the Three Kingdoms - then there's the Dynasty Warriors and Romance of the Three Kingdoms games from Koei Tecmo that have been handling this time period in videogames for years and years now. Total War: Three Kingdoms will kick off in 190CE, right at the end of the Han era, as the tyrannical Dong Zhou rules the country poorly, and with an iron fist. In resisting this, a number of very powerful and prominent heroes would rise up and shape the future of China itself. As anyone who has played a Total War game knows, these games all follow a similar structure; there's a grand strategy layer, where you build armies, improve towns and cities, and engage in diplomacy. Then, when battle happens, you're zoomed down into a battlefield view, and you can direct your units in a RTS fashion. Get stuck into one of these games, and it'll last you months. I will admit that it's going to take a lot to tear me away from my precious Romance of the Three Kingdoms games. Koei's franchise isn't quite as interested with the battlefield side of military strategy, but the grand strategy side of things is unparalleled, and Koei has, over many years with that franchise, leaned how to tell the Romance of the Three Kingdoms story through a strategy game in a cracking way. Related reading: Our review of the most recent Romance of the Three Kingdoms release. Still, Creative Assembly rarely puts a foot wrong, and Total War is far more popular and well known here in the west than Romance of the Three Kingdoms is. Anything that gets people interested in, playing, and hopefully learning about ancient China can only be a good thing.